The ultimate garden challenge is to listen to your landscaping brief and deliver a garden that will give you great pleasure. Drawing up plans for the garden. After we have visited your garden and finished the garden survey and compiled a schedule of garden ideas and garden elements that you wish to include. 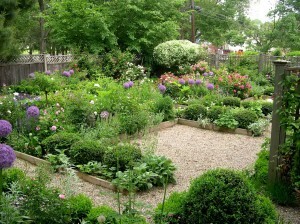 We will take measurements of the garden and draw up a garden design. We will sketch the garden and measure distances between the gardens features, borders and the house, marking garden elements that you wish to incorporate into the garden design. The gardens design presented will balance plants, landscaping, buildings lawns, patios and garden rooms. 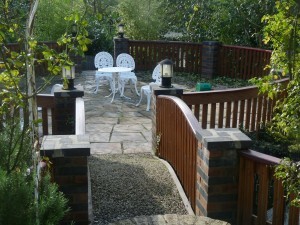 My garden designs have strong outlines; which I achieve through a variety of patterns and shapes. The garden layout must be beautiful in its own right, before the addition of plants, shrubs and trees; which add the colour, soften the sharp edges created by the hard landscaping, deliver height and can help obscure unappealing views. 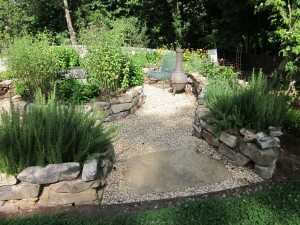 Garden elements- A level playing field? The garden design that I present can include retaining walls and raised beds; which will also add to the feeling of space. Ramps can help with wheelchair access, but do require more space than garden steps. Once I have your approval for the garden design, we can look at a planting schedule. it is at this time that you will need to think about how long you want to wait for the garden to mature. Larger specimen plants will give more immediate effect but are more costly. I purchase all my plants from a trade nursery and am able to get larger impact shrubs and trees at reasonable prices. 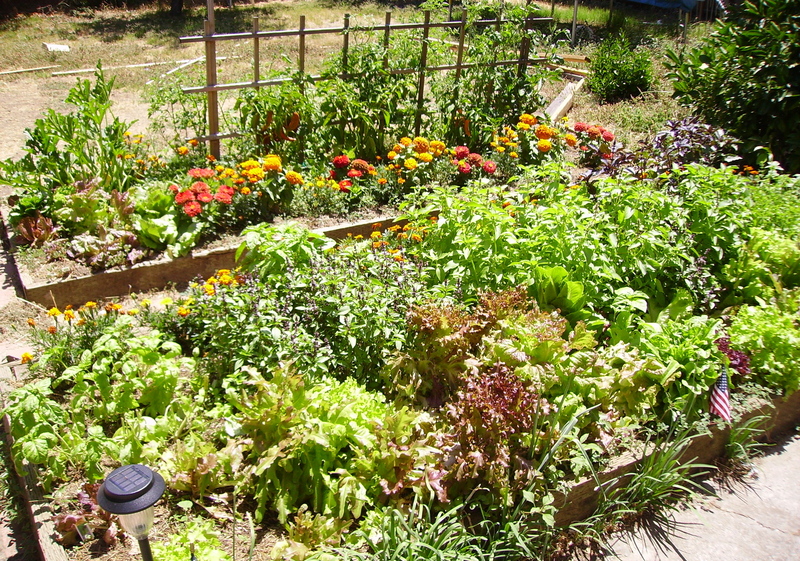 If you have room you may like to incorporate a vegetable patch, this not only adds interest but can help you to become self-sufficient in home grown organic produce. One client sadly had to lose a diseased willow tree and didn’t know what to do with the space the tree occupied. Two raised beds for a vegetable garden proved a splendid addition to the space. Even in a small garden space, you should think big and go for it! 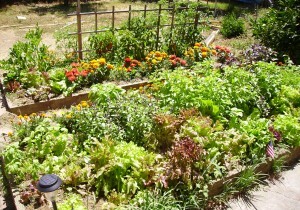 Even if you have a small urban garden you can still have large planting areas. 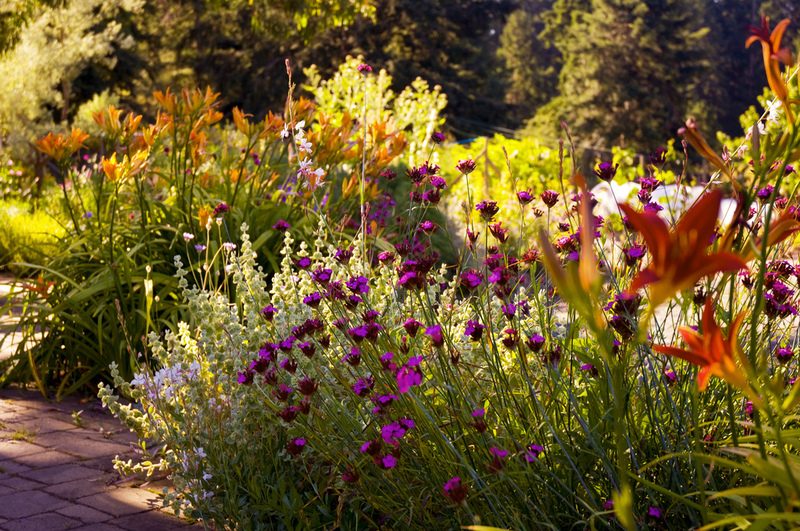 It’s not essential to keep the planting to the garden edges and we can design planting spaces within the garden, that evoke a sense of mystery and the impression that there is an extensive garden further on. Simplicity is key as we endeavour to avoid complicated garden designs; whilst we strive for an uplifting and calming garden space. Landscape Gardener in South London for 20 years! I was born and raised in Crystal Palace / Upper Norwood and have been a South London Gardener for 20 years since training as in landscape gardening, horticulture and botany at Merrist wood College Over that period, I have been designing and landscaping gardens in Hayes, West Wickham, Bromley, Beckenham and other parts of Kent. My landscape gardening services have extended to Croydon landscape gardens, Landscape gardening in Southwark, Lewisham and Lambeth. For many years I have maintained very large gardens in Dulwich and Norwood and further afield in Surrey.